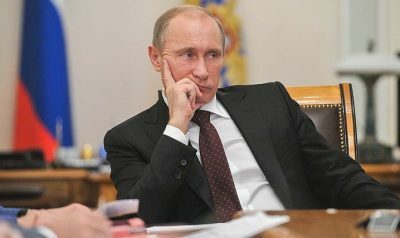 In a Showtime interview of Russian President Vladimir Putin by American film-maker Oliver Stone, which started airing on June 12th, Putin called “lies” many of the allegations by U.S. intelligence agencies, to the effect that he or his government attempted to influence the outcome of the 2016 U.S. Presidential election. He also accused the U.S. government of having actually done not only that (influencing other countries’ democratic process), but far more actual meddling in Russian elections, and in the elections in other former Soviet-and-allied countries, and even done it in recent times, and even done it to countries that had never been friendly toward Russia. The term “red” in this context refers, of course, to communism, and alleges that Russia is still a communist country. To allow that type of smear to appear in any ‘news’ vehicle, is to expose itself as being actually a propaganda-vehicle, unless the allegation is backed up by solid documentation, which Wenner’s magazine didn’t do — Wenner’s magazine presented no documentation at all, for the inflammatory allegation. The magazine’s presumption was that their readers will simply believe what Wenner’s operation delivers, to be ipso-facto ‘true’. But any such reader would be welcoming his own deception by Wenner’s propaganda-operation. Evidently, successful magazines can insult their own subscribers’ intelligence, so long as it’s done in ‘the right way’ — the subscribers won’t despise the publisher for trying to deceive them about such important matters as what countries to invade, or whether to invade, or why to invade. The U.S. military-industrial complex (MIC) can attract cannon-fodder for its operations, by means of such ‘news’ media to produce dupes for that MIC. From the very moment when Barack Obama became the U.S. President on 20 January 2009, the U.S. government was aiming for a ‘revolution’ to overthrow Syrian President Bashar al-Assad. Then, by no later than 2011, the operation was already under way in the U.S. State Department. Furthermore, also by no later than 2011, a parallel operation was under way to overthrow the democratically elected President of Ukraine, Viktor Yanukovych. Whereas in Syria it would be ‘freedom fighters’ who would be paid by the Sauds but armed and trained mainly by the U.S., and mainly organized and led by Al Qaeda; in Ukraine it would be ‘Maidan demonstrators’ who would be paid by the U.S., and mainly led and organized by leaders of Ukraine’s existing two racist-facist, or ideologically nazi, political parties, Right Sektor, and the Social Nationalist Party of Ukraine (renamed by the CIA as “Svoboda” or “Freedom” Party). Furthermore, on 28 June 2009, shortly after Obama became President, a coup by Honduras’s twenty-four richest families overthrew the democratically elected President Manuel Zelaya, who had been trying to institute land reform so that serfdom could become replaced there by a real democracy, but all governments except the U.S. refused to recognize the coup-regime, until first Hillary Clinton and then her boss Barack Obama recognized it and financed it with U.S. taxpayer money so that the international pressure to restore the democratically elected President failed and the junta-regime became stabilized. The U.S. government supported the aristocratic families, and helped them rig an ‘election’ amongst only contenders whom that oligarchy and the U.S. oligarchy supported. Much manipulation of the Honduran ‘news’ media and deceit against the Honduran public were perpetrated by both the U.S. aristocracy and the Honduran aristocracy in order to silence of else kill anyone who would challenge it. Here’s the excellent 3-minute video summary of that; and here’s my article documenting it with 72 links to the sources on that matter. So: those are three examples of extremely severe “meddling” — Syria, Ukraine, and Honduras — all three of which occurred during Obama’s Presidency (and so we’re not talking here about Iran in 1953 or Chile in 1973 or Iraq in 2003 or anything other than the most recent U.S. President). Each and every one of them is vastly more heinous than anything that Putin and Russia did, but Russia isn’t imposing sanctions upon the U.S. Even if all of the U.S. regime’s propaganda against Russia were true, the U.S. regime does vastly more damage to democracy, and to national sovereignty, around the world, than Russia does. On 14 June 2017, at 2:08 in the afternoon, the U.S. Senate passed, by a vote of 97 to 2 (only Rand Paul and Mike Lee voted against it) an intensification of U.S. economic sanctions against Russia, sanctions that President Obama had first instituted when Russia accepted the petition supported by more than 96% of Crimeans, for Crimea to become again a part of Russia, from which the Soviet dictator Khrushchev had transferred Crimea to Ukraine in 1954 without even consulting the residents there at all. Obama’s brutal coup overthrowing the Ukrainian President for whom 75% of Crimeans had voted is what had sparked Crimeans to seek to become, yet again — as they had been for hundreds of years until 1954 — Russians. For this ‘conquest of land’ as Obama called it, Russia was slapped with sanctions by Obama, and even now increasingly by the U.S. Congress. One of the four co-sponsors of that bill was the ‘progressive’ Democrat, U.S. Senator Sherrod Brown. Apparently, corruption (or else one would need to call it simply “evil”) is quite bi-partisan. And, given that the vote to increase sanctions was 97 to 2, that corruption (or evil) is almost universal in the U.S. Senate. CIA was very active in Italy, France and Japan elections after WWII. The millions were delivered to Italian politicians and the priests of Catholic Action, a political arm of the Vatican. Suitcases filled with cash changed hands in the four-star Hassler Hotel. “We would have liked to have done this in a more sophisticated manner,” [F. Mark] Wyatt said. “Passing black bags to affect a political election is not really a terribly attractive thing.” But it worked: Italy’s Christian Democrats won by a comfortable margin and formed a government that excluded communists. A long romance between the party and the agency began. The CIA’s practice of purchasing elections and politicians with bags of cash was repeated in Italy–and in many other nations–for the next twenty-five years. — LEGACY OF ASHES: The History of the CIA, by Tim Weiner (2007), page 31 [in the 2008 printing; page 27 of the first edition, the 2007 printing].